A migraine headache is an intense headache that can become so severe that it can disrupt your day-to-day life. Migraine headaches can be very painful but also cause a surplus of other symptoms not associated with a general headache. Migraines can also be a chronic condition and can be due to other factors. 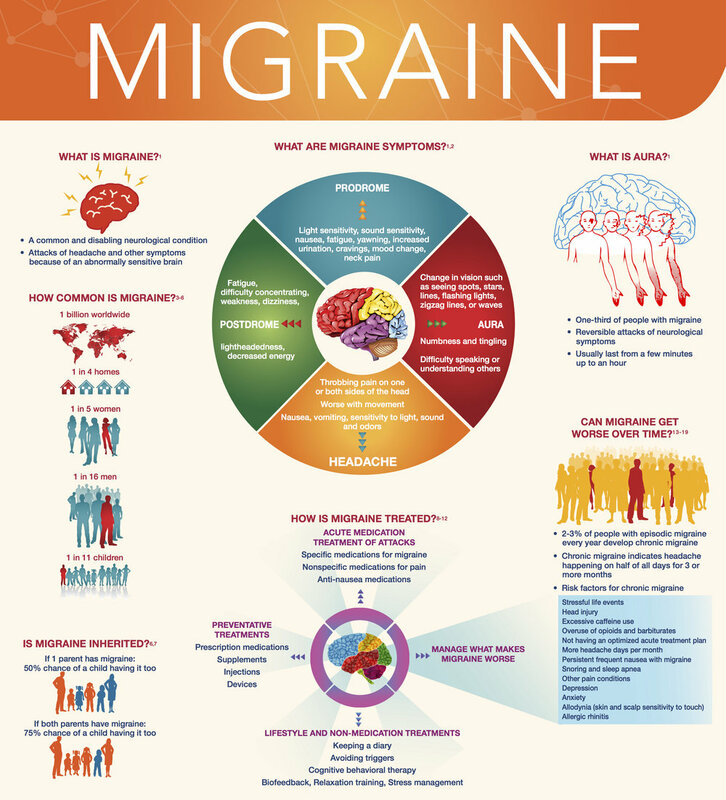 While the symptoms of migraine headaches vary depending on each individual, the most common signs and symptoms of a migraine headache include: intense pain, throbbing or pulsing in one or multiple sides of the head, nausea, vomiting, and sensitivity to light and sound. While some people only experience a migraine headache once in a while, for others, migraine headaches can be debilitating and/or chronic. What are the most common causes of Migraine Headaches? The exact cause of migraine headaches is not fully understood. Many researchers believe that a migraine can be caused by a change in hormone levels in the brain. Common triggers for Migraines include: stress, bright lights, smells, medications you are taking, lack of sleep or too much sleep, alcohol, and foods containing aspartame or MSG. The first step in treating Migraines is to make an appointment to see one of our specialists to learn about your treatment options.